This is a great photo frame for a girl's bedroom or nursery as it has various cute animals and pink love hearts as part of the design. Takes one 6x4 photo and has a star shape which is framed wtih a pink outline and takes a small 2.5x2.5 photo. 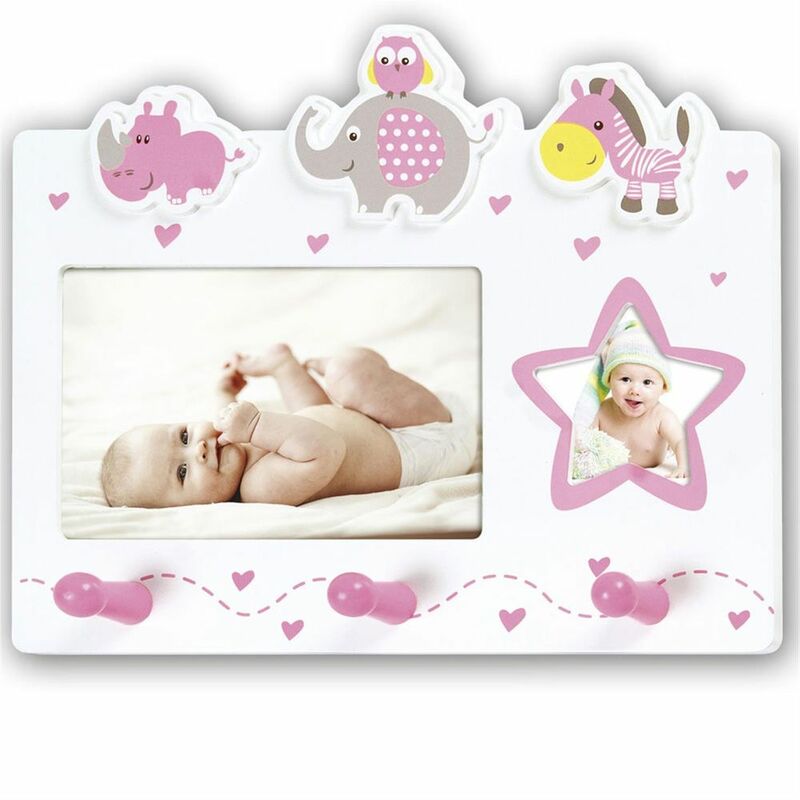 The white and pink main colouring of the frame give it a really girly feel with the Rhino, Elephant, Owl and Zebra raised above the frame and are really cute and smiley. Also the internal edges of the apertures are gently rounded to give a softer feel and have glass fronts. The frame also has three pink pegs which you could hang small clothes, toys and various accessories. The photgraphs are easily slipped into the rear of the frame by removing the back cover from each aperture and then replacing using the strong spring loaded clips. 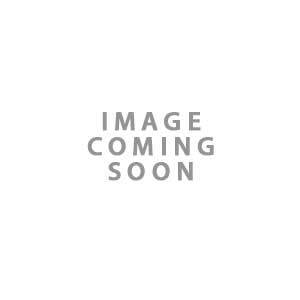 The two hanging clips on the back make the frame easy to hang and the overall size of the frame is 10 x 8.25 inches.